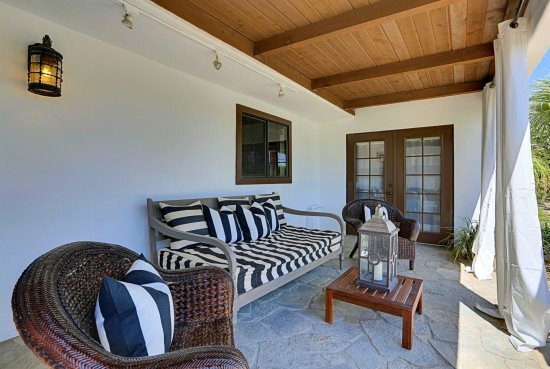 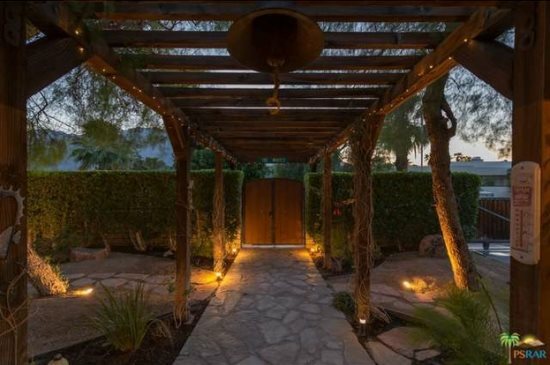 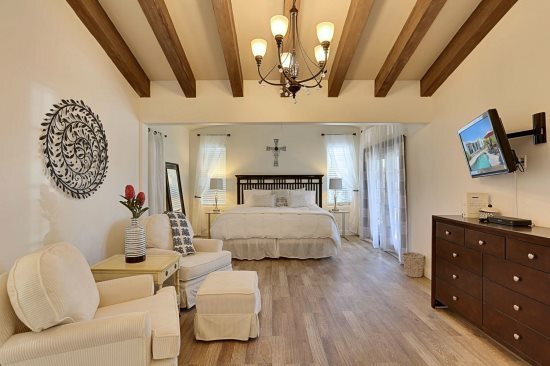 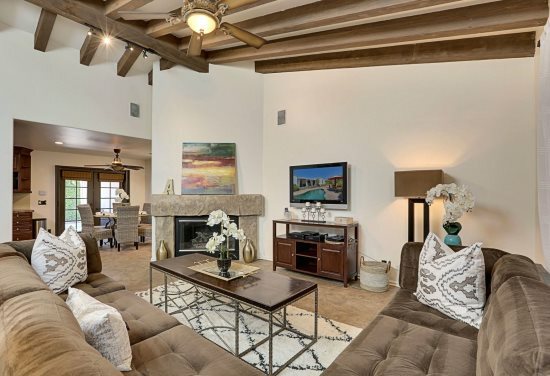 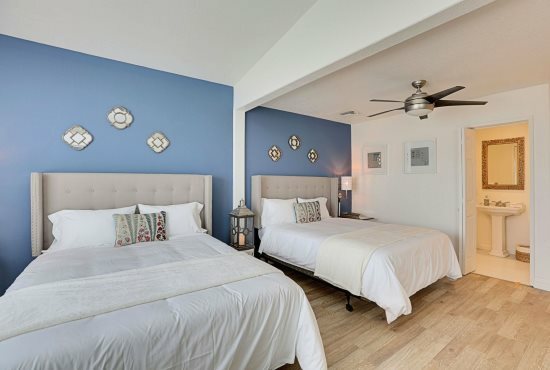 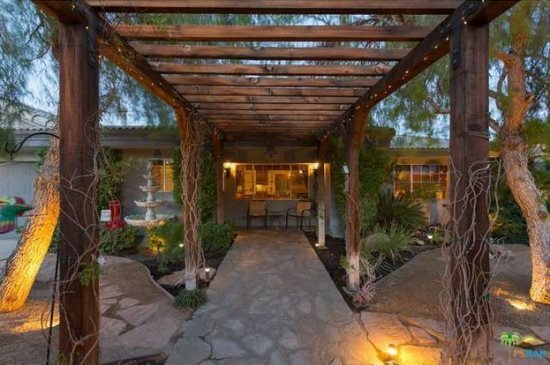 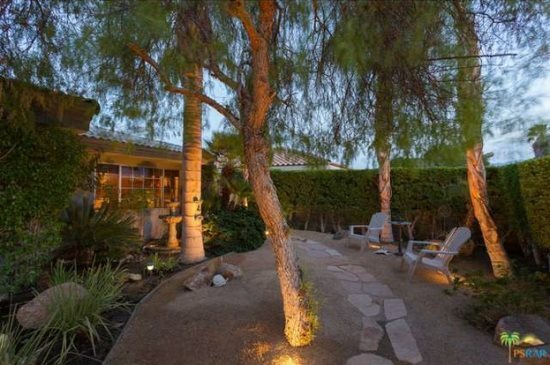 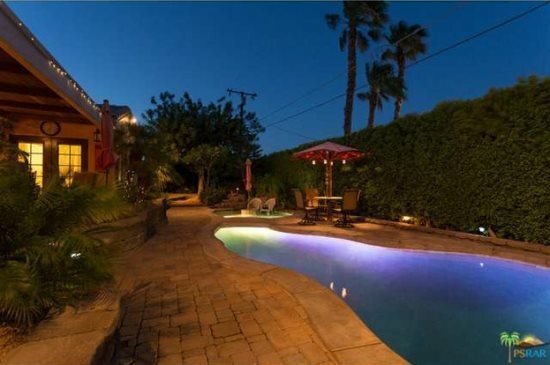 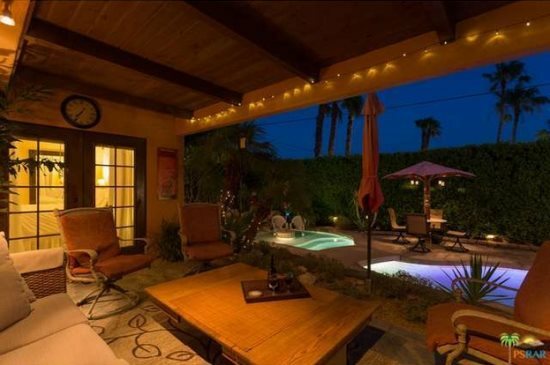 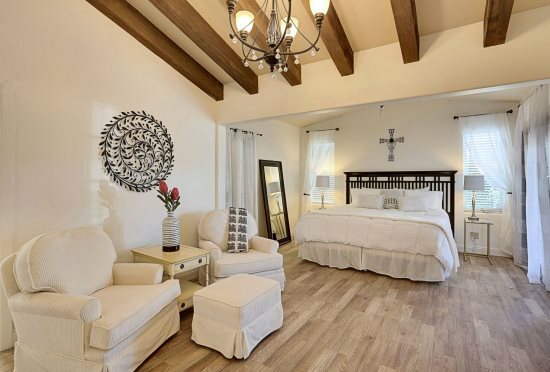 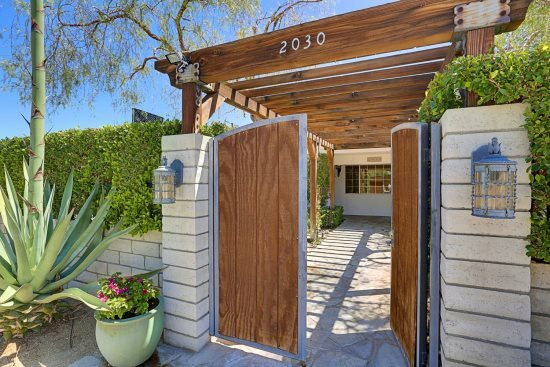 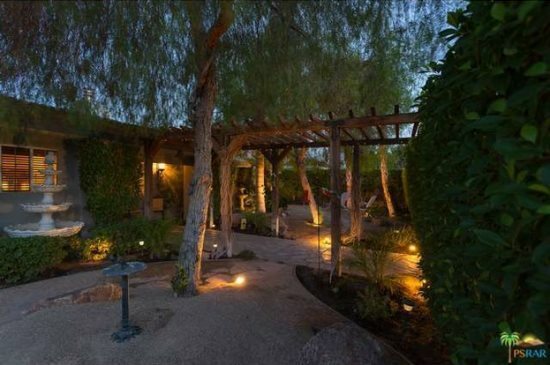 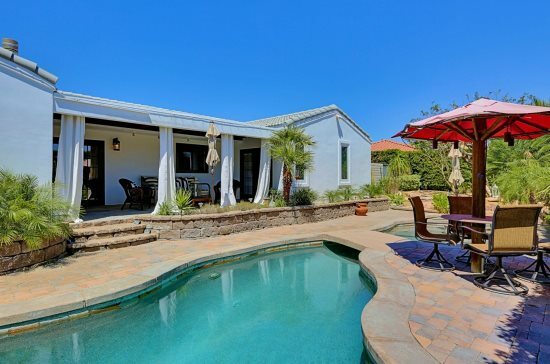 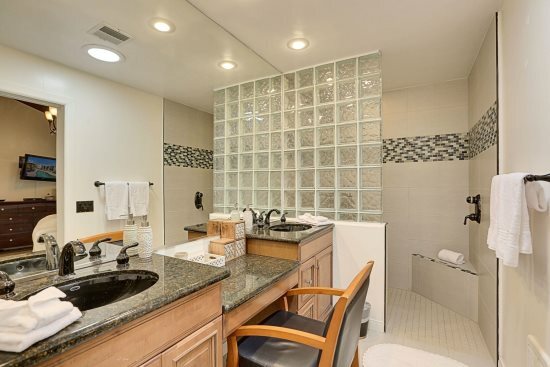 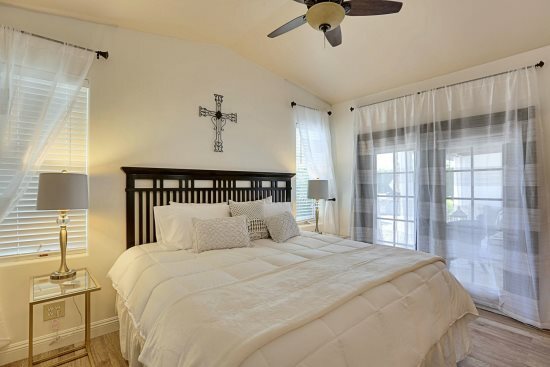 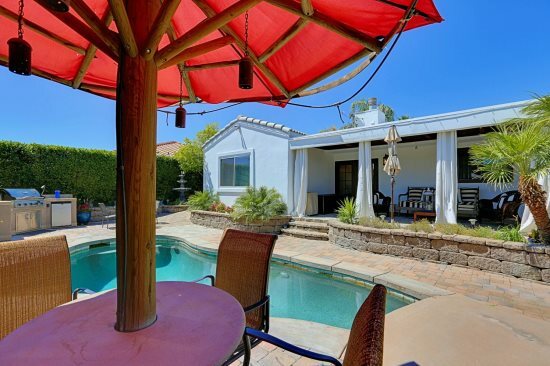 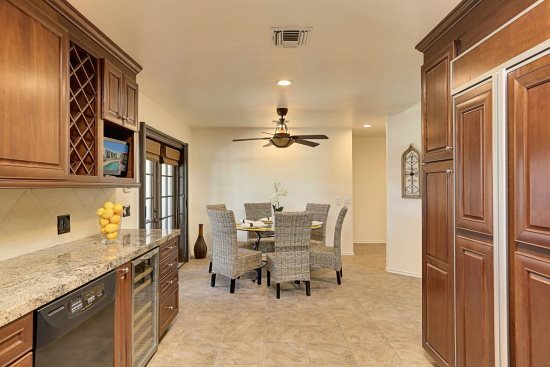 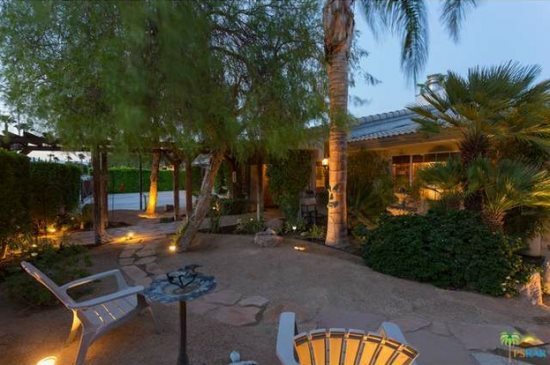 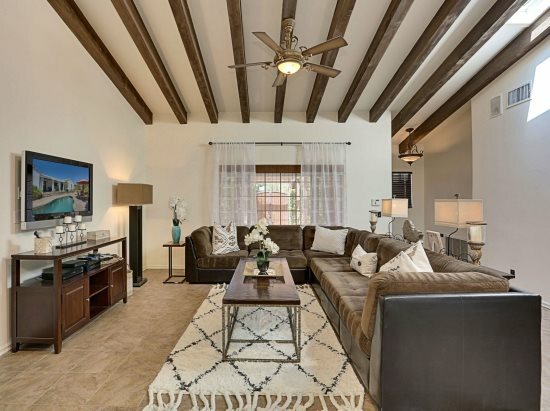 Serene, charming and very private home in Palm Springs. This newly-remodeled bohemian home has all the comfort and amenities you are looking for: lush grounds with several quiet sitting areas, a chef's gourmet kitchen with wine fridge, gas fireplaces, oversized master bedrooms, vaulted ceilings, walk-in closet and dual sinks in the master suite with French doors that lead to a gorgeous outdoor living room that overlooks the pool. 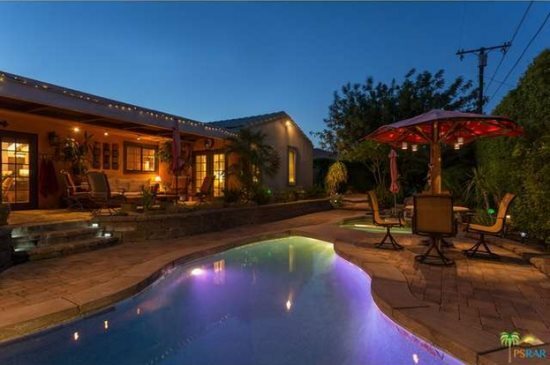 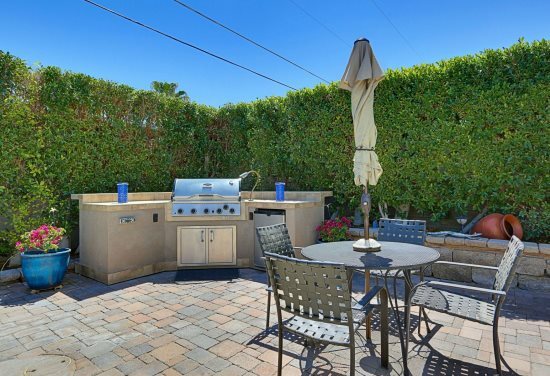 The outdoor entertaining area features a custom Pebble Tec Pool & Spa (solar heated), and outdoor BBQ. 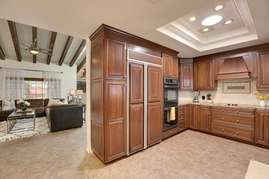 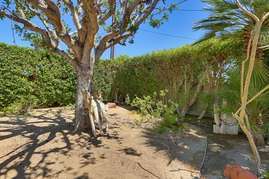 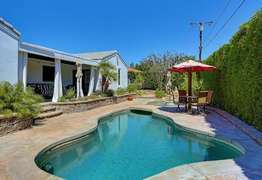 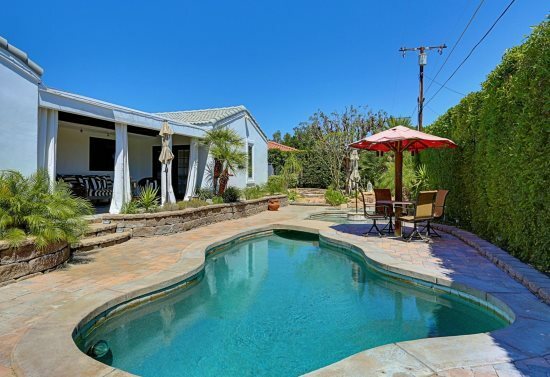 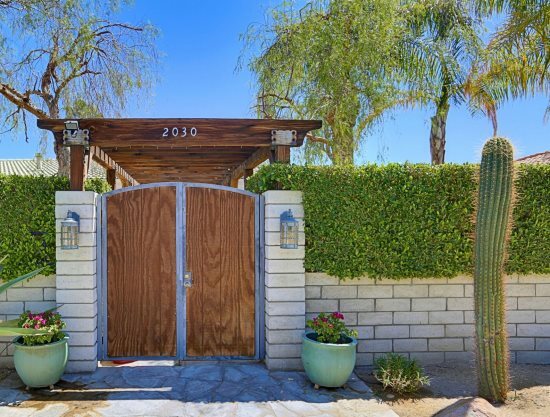 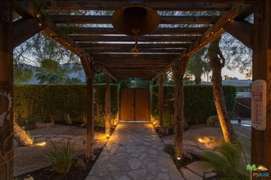 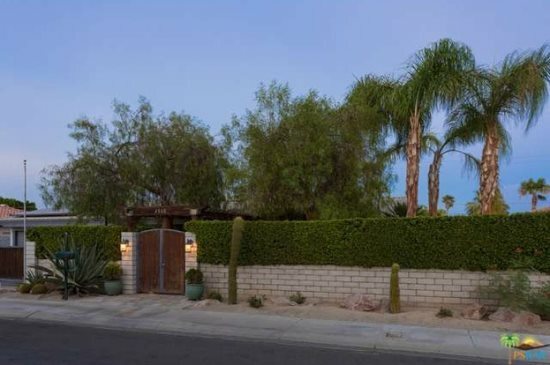 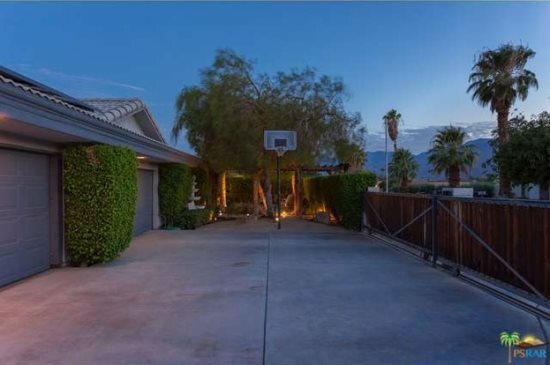 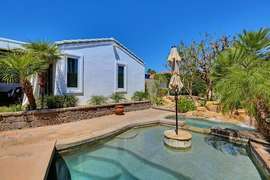 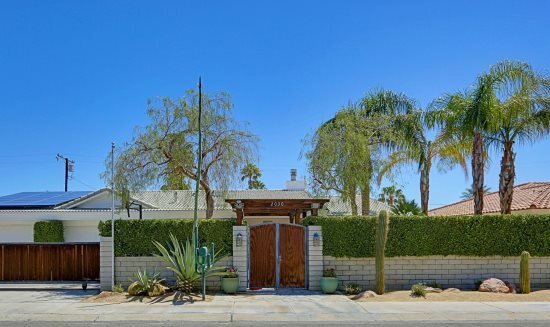 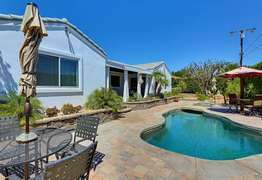 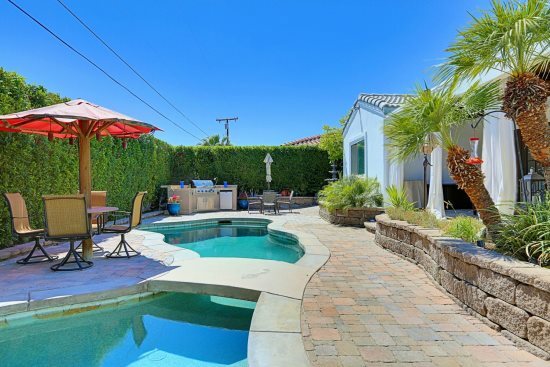 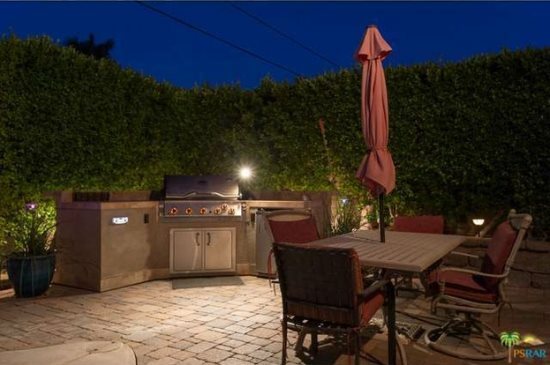 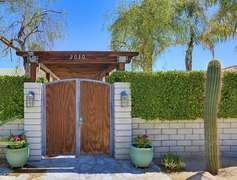 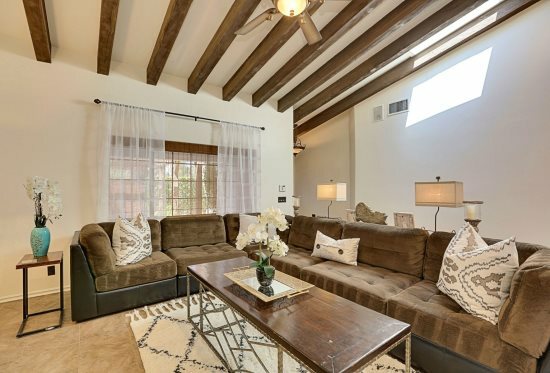 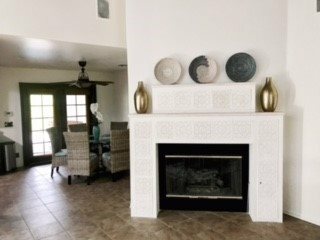 This Palm Springs home also includes a gated driveway, and 2 car garage, completely enveloped within mature tall hedges and fountains. 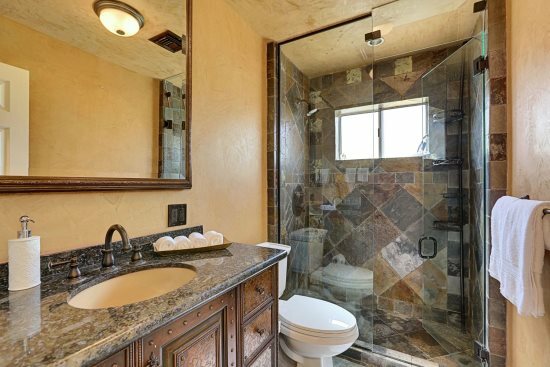 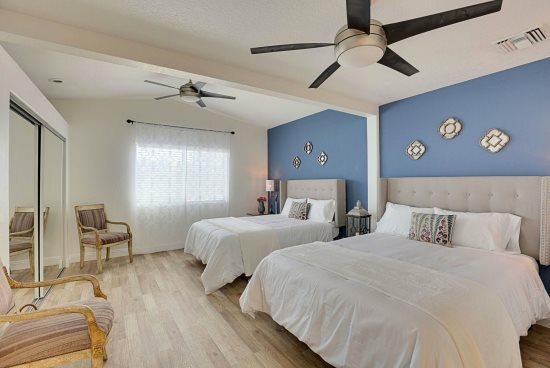 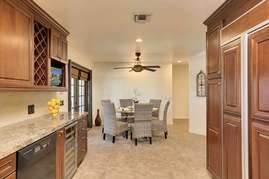 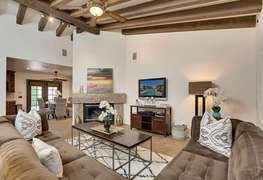 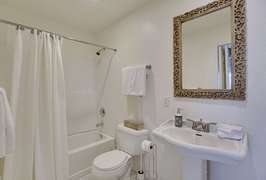 Close to shopping, restaurants, gym, and Downtown. 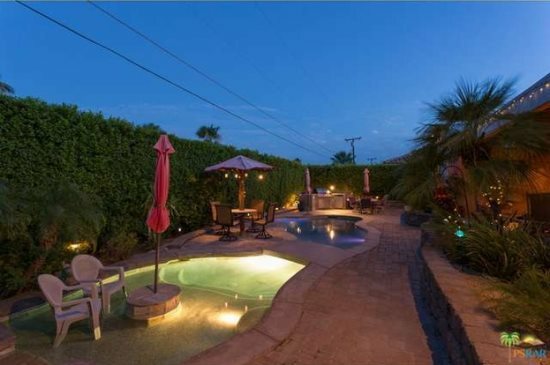 There is a salt water pool at this house. 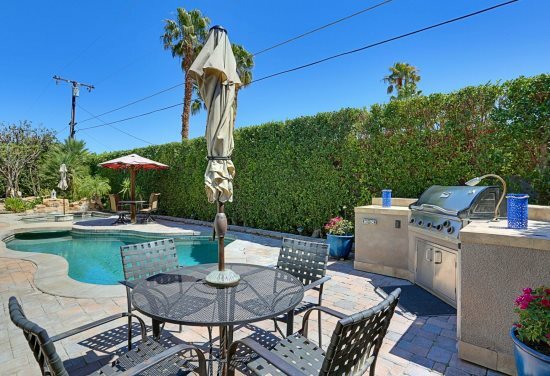 Pool heat (seasonal) included! 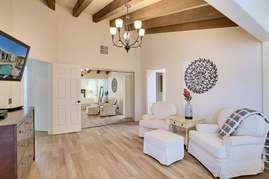 Small dogs under 15 pounds are allowed in this home.